We provide highly efficient Gas and Oil Fired Hot Air Generator in the national as well as international market. Oil and Gas Fired Hot Air Generators that we supply are fully automatic in mode. They are easy to operate and are long lasting in nature. With more than 25 years of industrial experience, we have been able to offer our wide spread clients a diverse range of steam boilers, water tube steam boilers, industrial steam boilers, thermal fluid heaters, fuel oil heaters, hot water / air generators, heat recovery units, water treatment plants, oil / gas burner and other heating equipment. 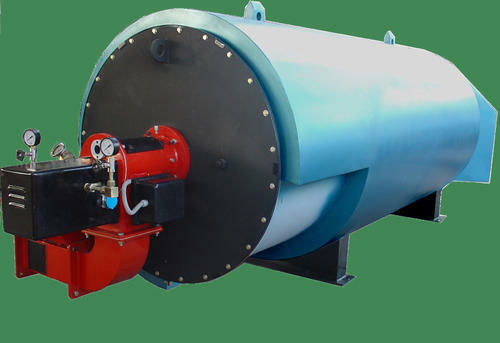 Fabricated from the premium quality raw material, all our steam boilers, water tube steam boilers, industrial steam boilers, thermal fluid heaters and fuel oil heaters are distinguished for their specific features and are manufactured under the supervision of industrial experts.In addition to wide range of efficient products like water tube steam boilers, fuel oil heaters, generators and water treatment plants, we also have carved a niche in the market by offering our clients effective after sales services from selection to commissioning, the supply of accessories, spares & pipelines, maintenance & repairs. Our sound technical proficiency has helped us earn a large number of clients.